Every once in a while a once in a generation player enters the sports world.The athlete often goes on to do great things. Their legacy is traditionally remembered for ever. Is Yedlin that type of player? It might be too early to tell. There is an exception to the rule. Some players fall in the middle. They’re not mediocre and they’re not superstars. In many sports they’re labeled role players. These players are often the glue that holds a championship team together. They play for the name on the front not the name on the back. Yedlin is definitely a team player.However, his talent level and tremendous upside places him in the first two categories. Once in a lifetime players such as David Beckham and Lionel Messi have both enjoyed success on the international stage. This ability to thrive under the spotlight separates them from the other players. It’s also what makes them great. 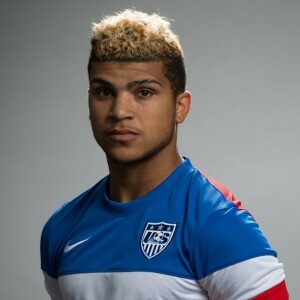 Yedlin has already proven that he’s capable of performing on the international stage. A sign that he could be destined for greatness. The Seattle native has thrived on the big stage. He enjoyed success in the 2015 Gold cup including a key assist in the 3rd place loss against Panama. Yedlin’s ability to thrive on the international stage; could foreshadow a promising future. His reliability is defiantly a positive sign. It could foreshadow a once in a generation career. If he’s able to win championships overseas,he could become a special player. Yedlin’s value on the field is difficult to pinpoint. He’s defiantly talented there’s no questioning that. But talent doesn’t always equal value. If you’re unable to use a talented player they don’t bring value to your franchise. Teams have been able to use him or have expressed a desire to sign him which indicates that he has some value.The amount is dependent on the club that signed him. His off field value is easier to determine. The Tottenham Hotspurs Premier League club recently paid a $4 million-ish fee to transfer him. This decision hasn’t prevented his future from potentially being up in the air, according to Fanised. Multiple sources have reported a similar potential outcome. MLS is often viewed as a retirement home for international stars. The league’s inability to shake this label; is due to their role in the developmental cycle.A role that has seen numerous young stars leave the states. Their inability to retain these athletes benefits international Soccer. Yedlin could’ve been the player that broke the cycle. The former Sounder had and still has the talent and personality required to put MLS on the international map. Instead he followed the traditional American Soccer path. A path that will make or break his career. He could be the next Adu or the next superstars. His decisions and level of play will ultimately determine the fate of his career. It will defiantly be interesting to discover what ends up happening. At one point Freddy Adu was the face of American Soccer. The young phenomenon was destined to be great. His prophecy never materialized. Adu is currently playing for Tampa in the NASL. Yedlin could be on the road to a similar fate. He thrived on both the MLS and Olympic stage before joining the Premier League. This decision could potentially alter his legacy.